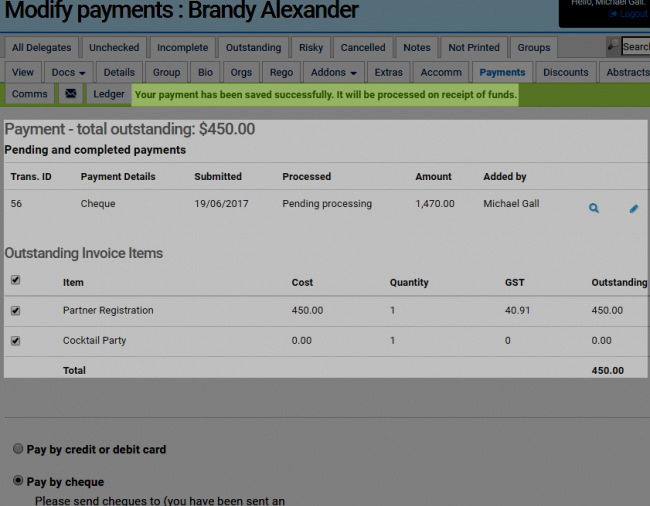 The first step to processing a cheque or direct deposit payment is to access the Payment page of the delegate via Delegates tab (LH vertical menu) -> select delegate -> Payments tab (top horizontal menu). Select/tick the items that are being paid at this time and select the payment type. 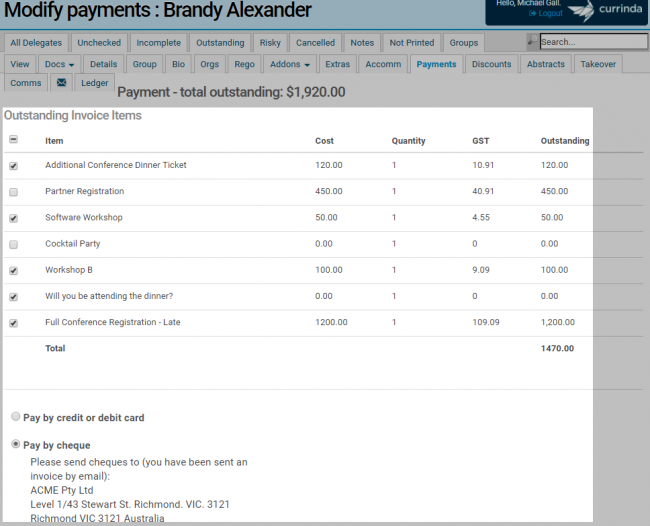 Your delegate’s Outstanding Invoice Items are immediately updated with the note “Your payment has been saved successfully. It will be processed on receipt of funds“. Processing Cheque or Direct Deposit is accessed through Finance -> Deposit Cheques (or Process Direct Deposit) tabs. These pages allow you to print a deposit slip while marking the actual transaction as completed in Currinda. The transactions listed are checked delegate’s registrations. You can read more about checking delegate registrations here. To print the deposit slip, fill out the information and click save. Then check the approve checkbox, click print, and then finally approve.